Every Sunday morning talk all the latest and greatest in Houston sports with two native Houstonians on Clutch City Sunday with Michael Connor and Brian LaLima from 10a-12p. Matt Thomas has a lot to say, but on this show he keeps it to just 15 minutes. Pat Starr of StateoftheTexans.com talks all things Houston Texans & more. Adam Clanton & Adam Wexler are The A-Team, talking all things Houston sports & more. Also, you can stream the show at sports790.com and on the free iHeartRadio app. More than a half million Houstonians fish and hunt, and as many or more enjoy other pastimes in the great outdoors ... like camping ... Más informaciones or sailing, birding or backpacking, kayaking or hiking. Doug Pike shares their passions for the outdoors and has done so since he grew up here in Houston. The Matt Thomas Show airs weekdays Noon-3p on SportsTalk790 in Houston. Michael Connor and Ross Villarreal talk all things Houston sports to cap off your day. The Sean Salisbury Show, featuring Michael Connor, Rachel Van Oranje and Adam Sager, airs 6am - 10am on SportsTalk 790. 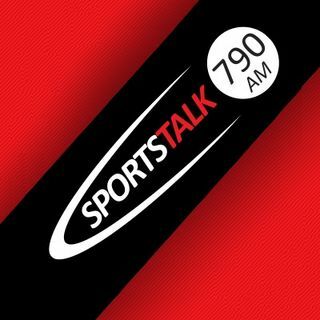 Weekend shows hosted by Ross Villarreal Saturdays and Michael Connor Sundays on SportsTalk 790, covering Houston sports and beyond!